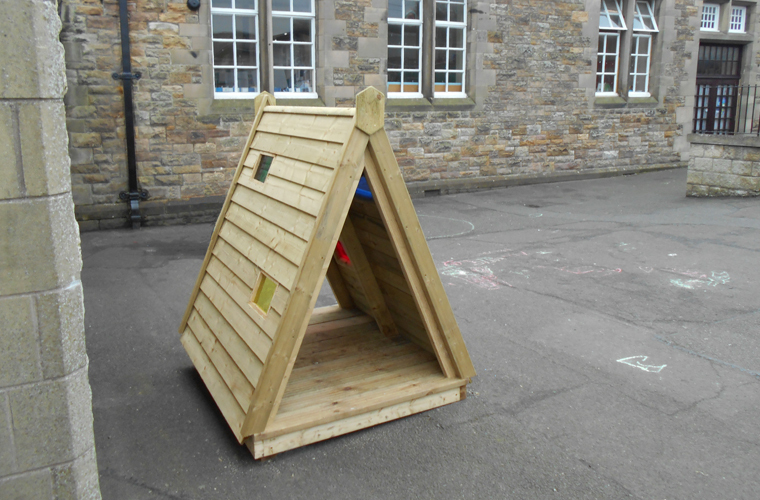 This timber structure is similar to a high sided tent which is open at both ends. The roof was finished with facia boards and has small coloured perspex windows. The structure was bolted into position onto the tarmac. 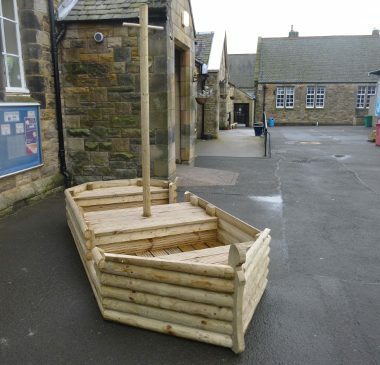 These are constructed with quarter sawn timbers and secured into the ground with ground anchors. 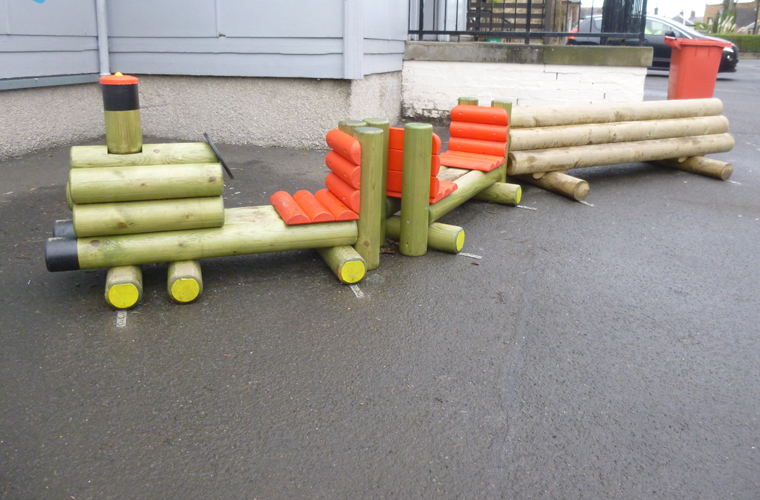 Different carriages add interest and encourage imaginative play. 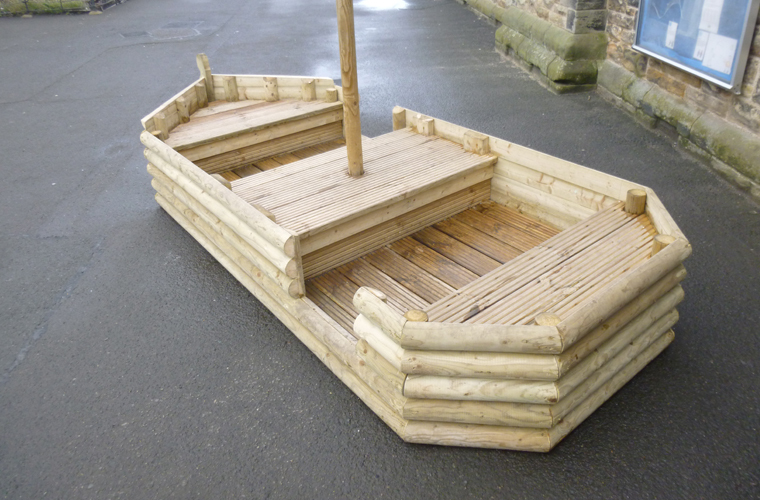 This was fitted with a timber decked floor, a set of seats, a mast, and doors were cut into the sides for easy access. Triangular shaped stage custom made to fit into a corner. The whole structure is secured into position and uses an existing wall as the back drop. An additional timber post and rail safety barrier is positioned behind the stage. This has kidney shaped benches to seat 8 - 12 children. 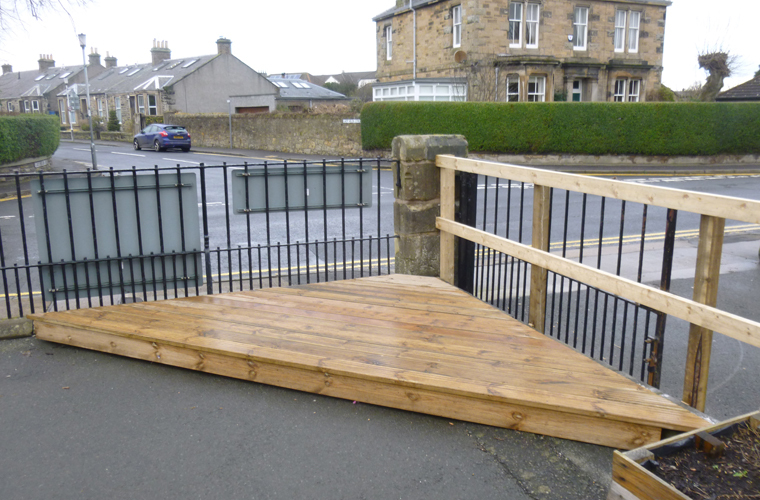 The benches are secured into the ground with ground anchors and can be adapted to allow wheel chair access. Wet pour rubber safety surfacing was installed under and around this product. 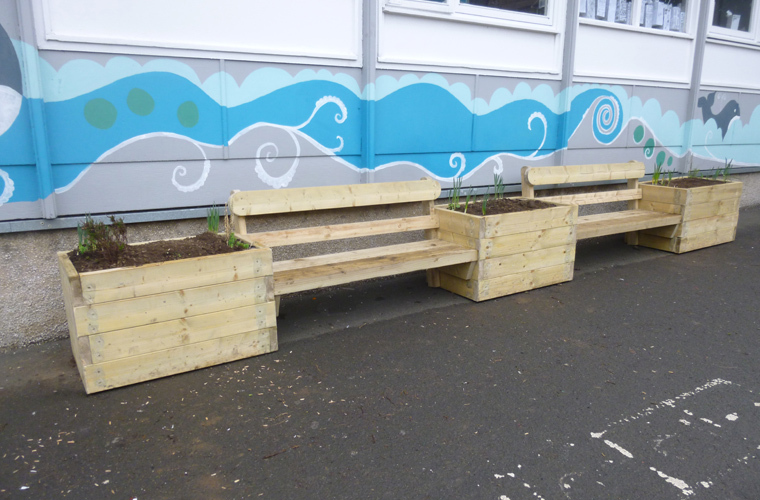 Well constructed and solid - each planter has an interconnecting bench seat with back rest. 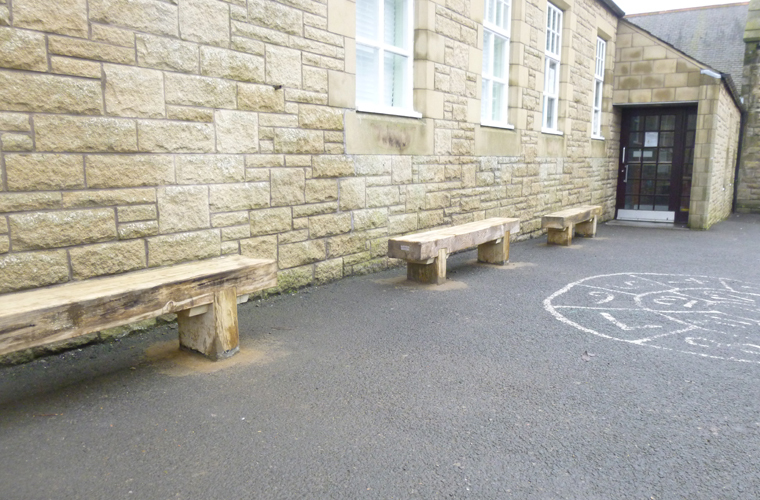 Three Sleeper Benches constructed from heart sawn redwood timbers are concreted into the tarmac close to the school building. Each bench has a smooth sanded surface and timber legs fitted with a bitumen heat sealed sleeve. Constructed from half round timbers and graded and dressed timbers, both are secured onto the ground. 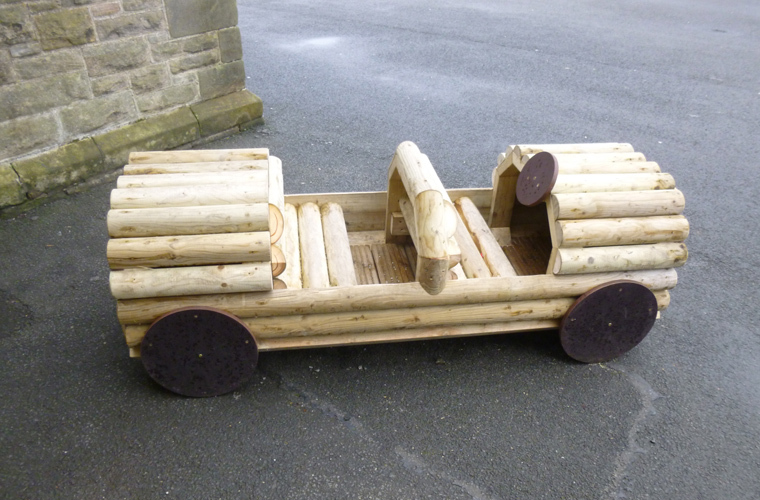 These fun and attractive products are designed to encourage imaginative play and social interaction. 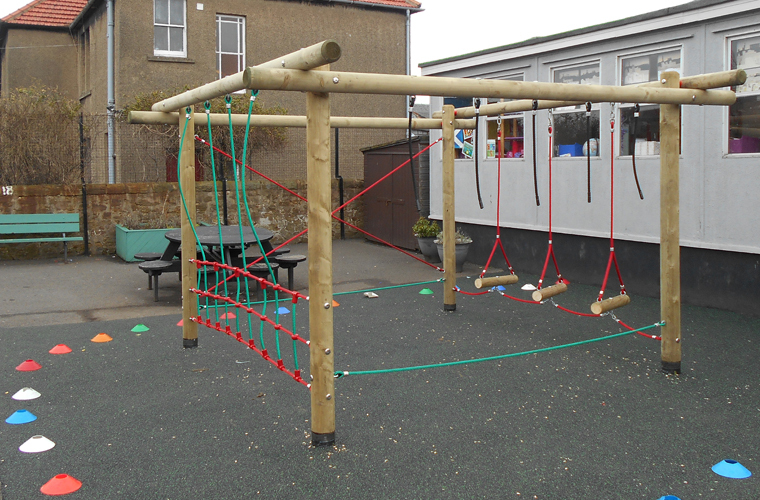 Kirkcaldy West Primary School Case Study – this Fife school had a relatively small playground all of which was tarmac. 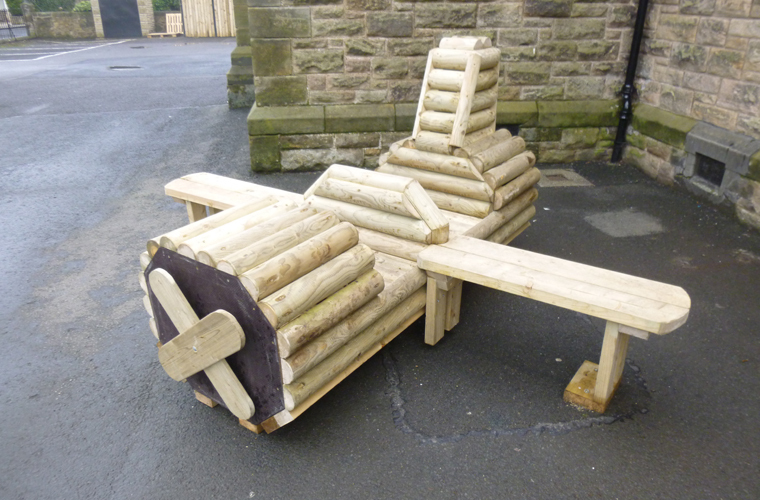 The brief was to develop the outside play provision to encourage outdoor play, to support the development of physical and athletic skills and to encourage social development for children of all ages. 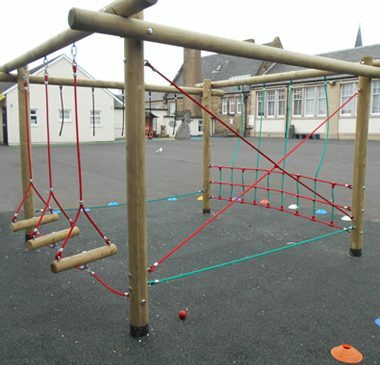 This key product was designed in a square configuration that is 3.0 wide and 2.3m high this allows a range of agility trail equipment to be fitted in a relatively small place hence making it particularly suitable for smaller playgrounds and also saving costs on safety surfacing as less is required due to the smaller footprint of this product. 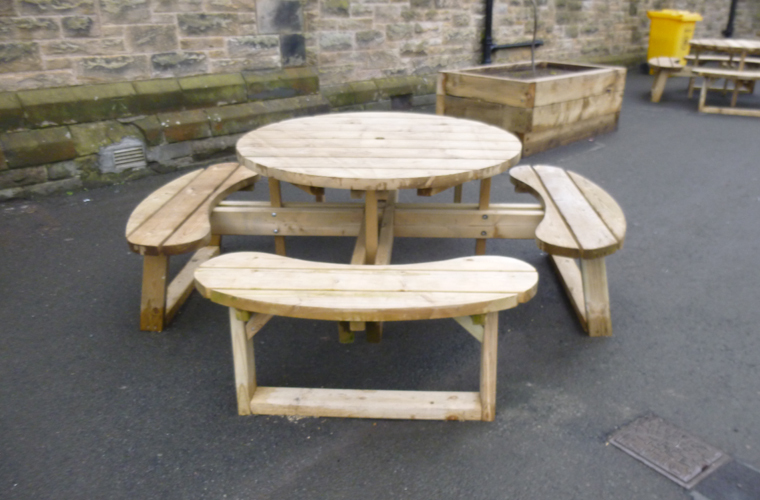 Before the new equipment went in several old metal benches and wall mounted planters were removed and bolt fittings were cut flush with the tarmac. 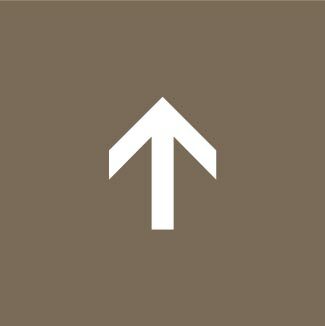 The installation team make every effort to work with the school staff to ensure minimal disruption is caused to the normal school day. 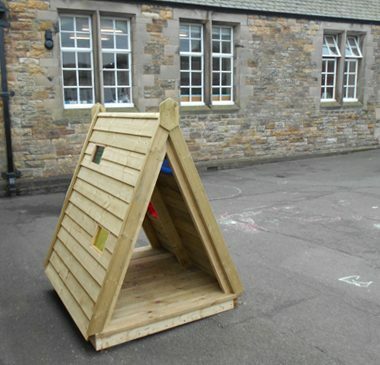 Take a look at our Outdoor Spaces section for inspiration for you school or nursery.